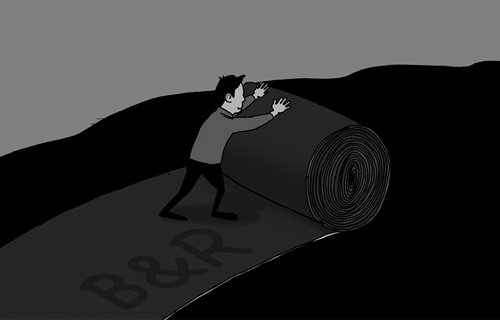 The Belt and Road (B&R) initiative was created as a Chinese comprehensive national policy for global development. It should be a guiding principle that the Guangdong-Hong Kong-Macao Bay Area (GHKMBA) needs to work with, while relying on the GHKMBA as a development model. There are four areas where we believe the GHKMBA can be the driving force for the B&R. First, the GHKMBA can export its development experience to nations and regions along the B&R route. In the current global economic landscape, in which the US has had a robust economic recovery but follows a policy of "America First," and Europe and Japan still lack sufficient strength to rebound, China being the second-largest economy means there is an opportunity for the GHKMBA to play a pivotal role. Many emerging and developing nations have a backward industrial structure, strong reliance on foreign investment and internal political bickering. To learn from China, which has experienced some of these challenges, can be meaningful and useful. The GHKMBA encompasses some highly developed cities. Besides Hong Kong and Macao, some other metropolitan areas in recent decades have demonstrated robust growth. The best example is Shenzhen, which three decades ago was a fishing village but today has a strong high-technology sector and world-class scientific facilities. Perhaps most remarkable is that Shenzhen also attracts talented, daring and visionary young people from China and abroad. Besides Shenzhen, notable cities in the GHKMBA such as Zhuhai, Dongguan and Foshan are examples of excellence. They exhibit strong cultures of private capital, processing trade and manufacturing, respectively, and can be examples for nations and regions along the B&R route. Second, the B&R initiative is promoting the so-called "five interconnections," namely policy, facilities, trade, finance and people-to-people contacts. With these five, the inherent characteristics of the GHKMBA can act as the front line in China's opening up to the world. With trading strengths and well-established transportation systems, especially with Hong Kong as a global finance center, the GHKMBA can certainly assist with the B&R initiative's facility, trade and finance interconnections. Finally, cities in the GHKMBA are vastly different, so they make the region a suitable location for case studies. Some cities are highly advanced, while some are not. Even in the Pearl River Delta region, some still significantly lag behind the national average. Perhaps the most striking and unique feature of the GHKMBA is that it mixes capitalism (Hong Kong and Macao) with socialism (Guangdong). This kind of mix is the B&R in miniature, and thus the GHKMBA can be an example for the B&R initiative to establish the "five interconnections" with the nations and regions along its route. Third, the GHKMBA can almost singularly assist China to tell the world about the B&R "story." It is well known that in the modern world, films, TV shows and other cultural products can help a nation to reach hearts and minds of the outside world. Fourth, the GHKMBA can be an excellent base for corporations from nations and regions along the B&R route to raise funds. In addition to exchanges in Hong Kong and Shenzhen, we strongly suggest that a GHKMBA exchange center be established. Such a center should be jointly funded, operated and managed. It should have innovative trading platform rules, systems and technology and use Hong Kong stock market standards. It can also use some of the best practices from US and European stock markets. We believe that such an unprecedented exchange center, which would mix the best practices of the East and the West, will be very attractive to corporations from the nations and regions of the B&R route to hold IPOs. Companies could have dual IPOs in the GHKMBA exchange center and exchanges elsewhere on the B&R route. As far as the US is concerned, for a profoundly business-minded government, a new center such as this would speak its language. In this financial "sense," it is not difficult to see that foreign government leaders, such as those in the US and Japan, would want "a piece of the pie." Positioning the GHKMBA as a hub-and-spoke location for the B&R should, in our opinion, be only its minimum objective. The GHKMBA already has a very solid foundation and should become a shining model for the B&R. It is clear that the most successful bay areas in the world got that way because of their people. The GHKMBA should be no exception. Ultimately, whether the GHKMBA can achieve this lofty goal depends on whether people in the region see themselves as not just people of the GHKMBA, but of the global village. Working to promote the mission of the B&R to assist and drive China to become a global financial and economic leader should be the ultimate aim.